PM Lars Løkke Rasmussen has backed the British government’s response to the attack on former Soviet operative Sergei Skripal . “Denmark supports Britain in the case of the poison attack in the English town of Salisbury that Russia is said to be behind,” he confirmed in a statement. Rasmussen also insisted his government would support the UK if it chose to retaliate against Russia. “We will be in close dialogue with our British allies to consider what countermeasures will take place,” he contended. “We still have sanctions against an increasingly aggressive Russian state following their invasion of the Crimea Peninsula,” he later added. Today, British PM Theresa May confirmed Russia was responsible for the attempted murder of Skripal, describing the attack as an “unlawful use of state force”. In response, she announced 23 Russian diplomats were being expelled from the UK. She also said the British government would produce legislation in the coming weeks to protect citizens from similar state-orchestrated interventions. 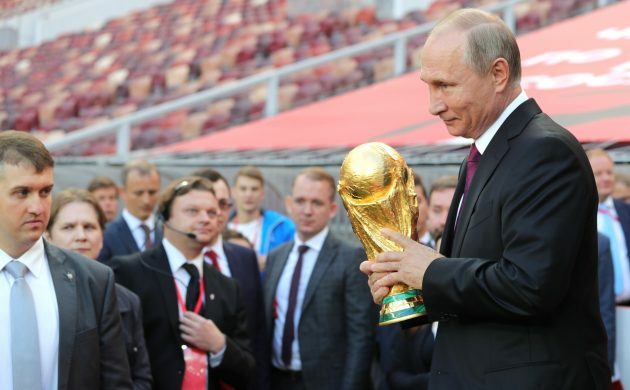 Boris Johnson, the foreign secretary, also suggested the UK teams could pull out of this year’s World Cup in Russia this summer. The foreign minister, Anders Samuelsen viewed the attack as very serious. “It is completely unacceptable that citizens are subject to murder attempts with a nerve agent on British soil,” he announced yesterday. “If it turns out that Russia is behind this, it would be deeply disturbing and a crime we would strongly condemn,” he decried. Samuelsen also reiterated Denmark would support any action that Britain saw as an effective response. “The United Kingdom is one of our closest allies and we will together with them consider possible reactions,” he confirmed.